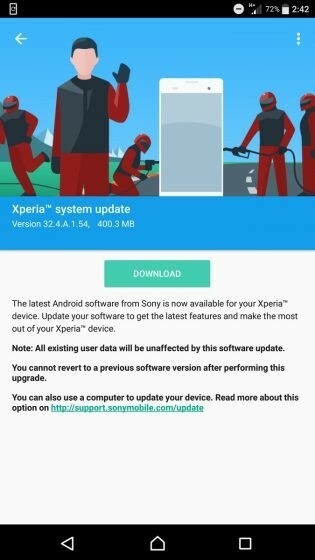 Sony users of the Xperia Z5, Xperia Z3+ and Xperia Z4 Tablet were having troubles with updating their devices until the middle of the summer, but now the Japanese manufacturer moved on and issued a new software update, bringing some security patches. According to sources, the Xperia Z5 family which includes the Xperia Z5 Compact and the Xperia Z5 Premium moved from build number 32.4.A.0.160 to 32.4.A.1.54. The size of the update is 400 MB and at first glance doesn't bring any dramatic feature or UI changes. Some suggest the battery and heating issues have been cleared out, but we are yet to get a confirmation. Have you already received the update? Let us know if you notice any changes. 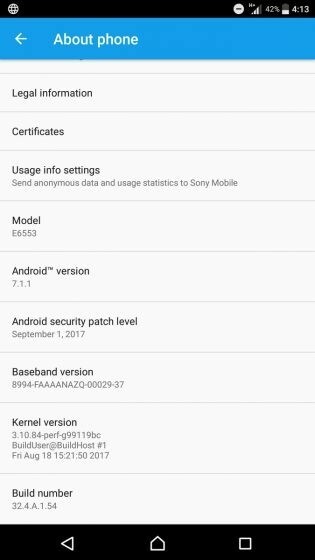 I currently own the Xperia Z5 Premium and can't seem to get the latest update. Can you kindly say if there is a way to get it without having to wait for Sony to post it or for the OTA to be made available.